Previous operators, Teck Corp. and Lincoln Mining Corporation, have drilled 87,967 feet in 272 holes since 1991. The holes drilled include both diamond drill core holes and reverse circulation holes. Hole orientations are both vertical and angle. The drilling was concentrated on the Wilson and Wheeler deposits. 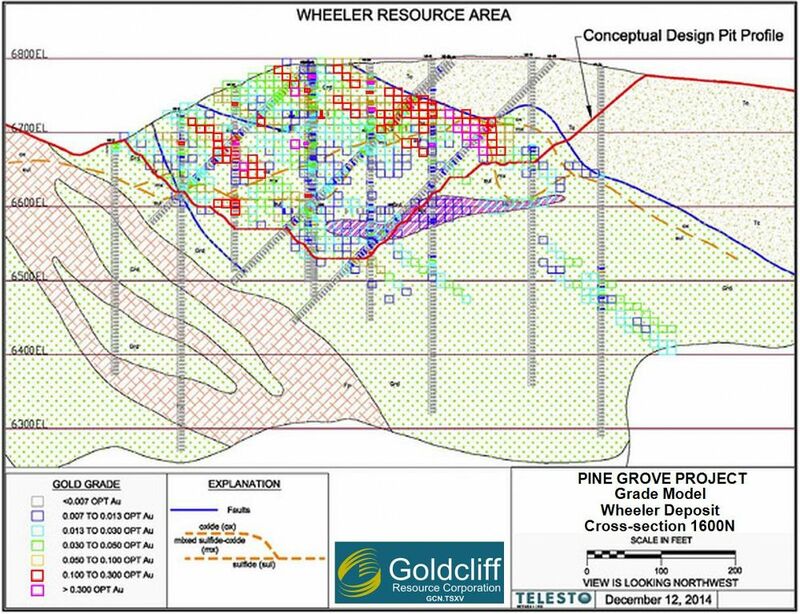 Goldcliff funded a reverse circulation drill program on the Wilson patented claims in November-December 2016. 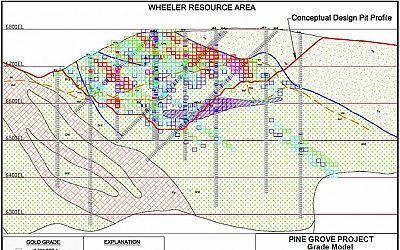 Thirteen vertical reverse-circulation drill holes were completed in two fences and an additional angle hole was drilled near the southern boundary of the patented claim block for required geochemical information. 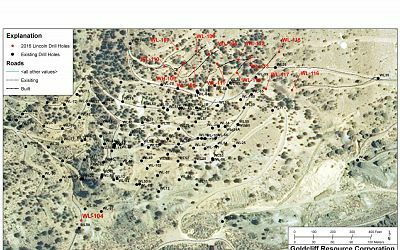 The first fence of holes stepped out 100 feet beyond the northern limit of previous drilling and the second fence stepped out a further 100 feet to the northern patented claim boundary. Cumulative footage drilled during the 2016 program was 6,962.5 feet.